Add all ingredients to a blender. Blend until smooth and pour into a martini glass. Top with Tonka bean shavings and serve with a straw. 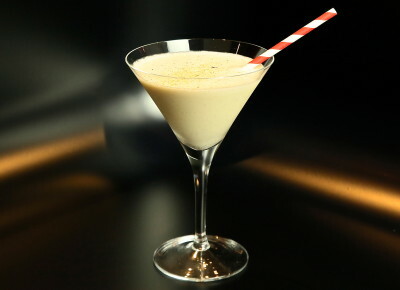 *See our Tonka Bean Syrup recipe/video. Rich, delicious and fun! This is a grand edition to your roster of ice-cream cocktails. 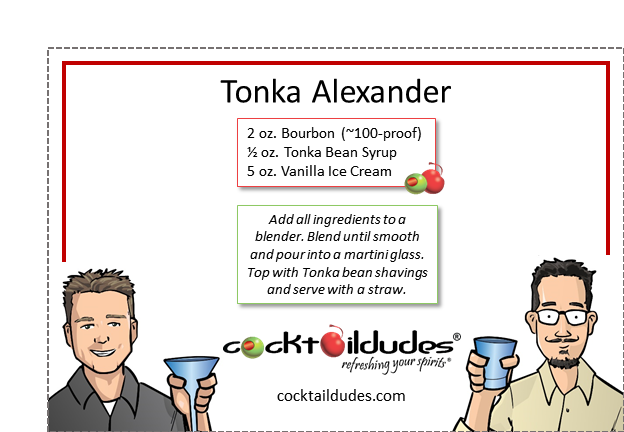 Make up a batch of Tonka Bean Syrup and then check out all of the additional cocktails we’ve developed for it. Cheers! Can't see any Facebook information? Click here to login. Copyright, 2016. All rights reserved to Cocktail Dudes.